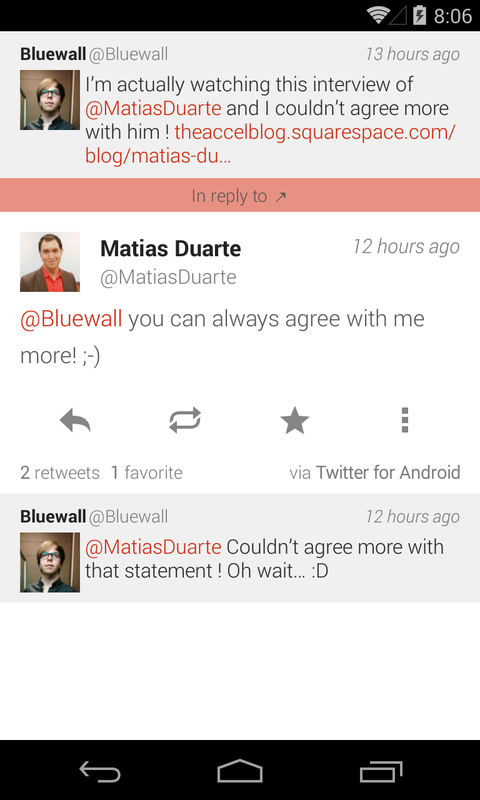 Fenix for Twitter is a new Twitter app for Android. And I must say it looks very good. It's from the same developer that makes the best Markdown editor for Android called “Drafts”. Clickable timeline links, because every tap count! Support for multiple drafts, because every word you type is precious! Swipe all the things! 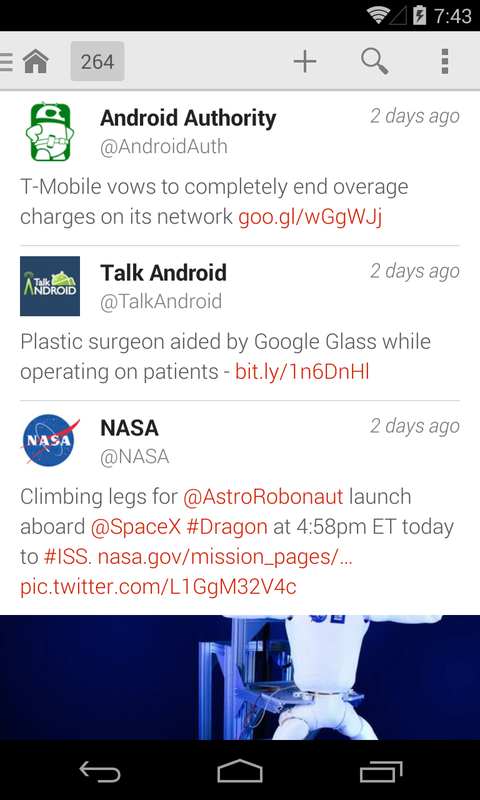 You can swipe through all the app sections, swipe to close a tweet or even swipe to compose a new tweet. 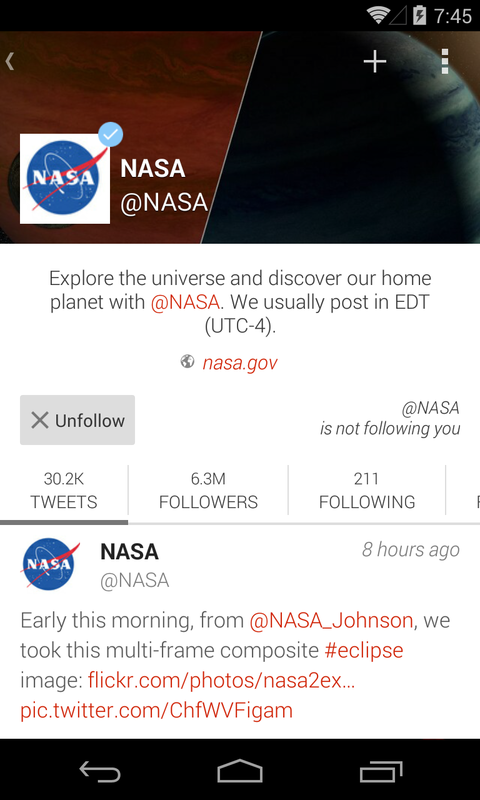 Customize the navigation of the app. Don't care about Direct Messages? You've never favorited a tweet? Just hide those sections and they won't steal precious screen space anymore.